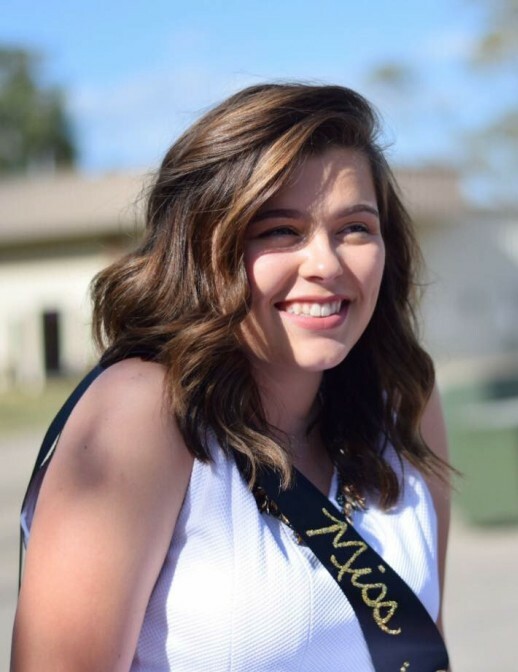 Miss Mackenzie Grayce Gore, 15, passed away Tuesday, August 14, 2018. Born November 14, 2002 in Florence, SC, Mackenzie was a daughter of Chastity and Rodney Rummage and Christopher and Melony Gore. Mackenzie attended Brownsville Baptist Church. She was a student at Marlboro County High School where she was a member of the golf team, Freshman Class Treasurer and Freshman 1st Runner-Up in the Marlboro County High School Homecoming Court. She enjoyed graphic design and attended Savannah College of Art & Design this past summer for summer classes. She also enjoyed singing and playing with her cats. Mackenzie was preceded in death by her paternal grandfather, Kenneth J. Gore and paternal grandmother, Betty Jo Gore. She leaves behind to cherish her memory: her parents listed above; maternal grandmother, Janet Lord Lesley and husband James of Blenheim; maternal grandfather Randy McCall, Sr. of Blenheim; paternal grandfather Billy Lewis Gore of Nakina, NC; paternal grandmother Elderee Gore of Nakina, NC; maternal grandparents Daryl & Vickie Rummage of Wallace; maternal great-grandmother Helen D. Martin of Blenheim; sister, Jessica Lee Evans of Blenheim; brothers, Ryan Hunter Rummage of Blenheim, Seth Davis of Sumter, and Bailey Gibson and wife Jana of Pawley’s Island; sister-in-law, Talisha Gibson of Nakina, NC; nephew, Castle Gibson of Nakina, NC; brother, Allie Gibson and wife Rebecca of Roanoke, VA; and numerous aunts, uncles, cousins, and friends. The family will receive friends Friday, August 17, 2018 from 5pm until 7pm at Burroughs Funeral Home. A funeral service will be held at 2pm on Saturday, August 18, 2017 at Burroughs Funeral Home with burial to follow at Brownsville Baptist Church Cemetery. Memorials in Mackenzie’s honor may be made to Blenheim Fire Department, PO Box 128, Blenheim, SC 29516. Burroughs Funeral Home is honored to assist the family of Mackenzie Gore.